Sports marketing – from sponsorship evaluation, procurement and activation, to athlete spokespersons and endorsements, event management, promotions, licensing and merchandising – is a cornerstone of RockandSock’em specialty practices. Hence the “Sock’em” half of our name, and mission – to sock your competition! The following is a sneak peek at just a few of the sports marketing client projects and launches we’ve managed and executed. 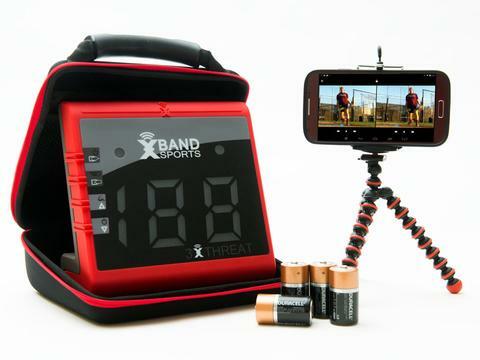 Rock’em and The Brand Amp recently teamed up for their first joint collaboration on new client XBand Sports, helping launch the new 3XThreat – the first-ever speed and mechanics video system that helps baseball and softball players train smarter and improve faster. The new 3XThreat video unit, sports app and performance center was designed to help ‘bucket dads,’ coaches and players evaluate pitching, hitting & base-running skills, then correct mechanics accordingly. It’s the ultimate training edge to help players reach the next level in the increasingly competitive baseball and softball worlds. 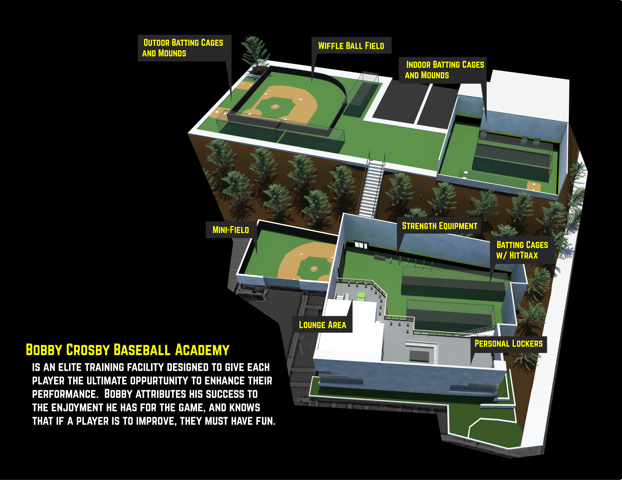 Rock'em secured 2001 Major League Baseball first round draft choice and 2004 American League Rookie of the Year Bobby Crosby as XBand's national media spokesperson, and installed the new 3X Threat system at the Bobby Crosby Baseball Academy -- an elite training facility for baseball and softball players of all levels, youth through pro. Drafted, executed brand re-launch plan, strategically timed to capitalize on the tremendous beach volleyball profile and success of the 2012 Olympics in London and coverage on NBC. Created key messaging, Q&A’s, led AVP executive media training session, drafted 2013 AVP PR Plan and 2013 Crisis Management Plan. Varsity received P&G and GSK sponsor revenue, while brands received access to, product trial and increased sales among Varsity teen influencers via direct event exposure, sampling, couponing, social media connections, PR, etc. Success led to Varsity business and GSK as new client accounts. Endorsement and appearance deals w/“Miracle On Ice” USA Hockey Team coach Herb Brooks, captain Mike Eruzione, goaltender Jim Craig as media spokesmen. Note: Also managed publicity, media relations and crisis management efforts for two Tostitos Fiesta Bowl, and 8 Rose Bowl and Tournament of Roses Parade activations. Little Known Historical Marketing Fact: Considered the quintessential event property whereby the line officially blurs between sports and entertainment – and the ultimate expression of Rock and Sock’em! ), the Super Bowl Halftime Show achieved heightened status and upgraded, A-List musical entertainer performances, after 1992 . . . the year in which client Frito-Lay successfully counterprogrammed the Super Bowl with The Tostitos “In Living Color” Zap-Time Show, featuring an historic, 30-minute episode of the hit Fox Network TV show televised live during what was then a fairly boring NFL halftime show experience. RockandSock’em’s John Eckel pitched and personally escorted In Living Color stars Keenan Ivory Wayans, Jim Carey and Jennifer Lopez (a “Fly Girl” on the show) to on-site Super Bowl media interviews, and worked with Frito-Lay Marketing and PR executives and its ad agency to plan and execute the promotion, during which 30 million of the 100+ million Super Bowl viewers “zapped” their TV channels to watch the live show, which ended just prior to second half Super Bowl kickoff. After more than 250 million media impressions were generated that encouraged 30 million viewers to switch TV channels (and miss the high-cost TV ads critical to NFL advertisers and the TV network), Super Bowl advertisers and the network were outraged, and pressured the NFL to take steps to ensure the Super Bowl Halftime Show would never again be successfully counter-programmed. Thus, the following year, Michael Jackson was retained by the to perform live, to ensure no one would again switch stations! Now, we could tell you what Frito-Lay had planned to counter-program the King of Pop that year before the NFL agreed to partner with them for an official sponsorship of the “Frito-Lay Super Bowl Halftime Show featuring Michael Jackson,” …. But we’d have to kill you, or violate an NDA. Better idea: Just hire us to Rock and Sock your competition and customers. While serving as founder and head of Hill and Knowlton’s sports marketing practice, RockandSock’em’s John Eckel led Hill and Knowlton’s U.S. account team media relations efforts to in support of Athens’s successful bid to secure and host the 2004 Summer Olympic Games.